The goal of the women's ministry team is to provide an environment where learning God's Word is our highest focus. We offer various bible studies throughout the year and we encourage you to contact the church office and sign up for one today. 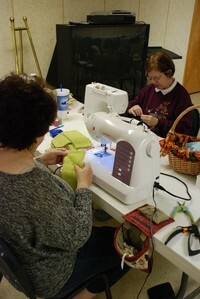 We also meet monthly to work on missions outreach such as the "Wrapped In Love" blaket outreach. We also participte in various other community projects.